Animals can benefit from sociality through cooperation and information sharing. Simple associations between species can be valuable, but we know little about how individuals benefit from mixed-species social groups, and whether group member identity is important. 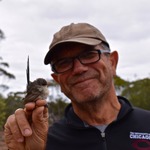 By recording singing behavior and performing experimental manipulations, I will examine how splendid and variegated fairy-wrens share information and whether those involved benefit from these associations. From brief interactions to highly complex associations, sociality is central to studies of community ecology, sexual selection, evolution, and adaptation. While sociality typically refers to interactions within a species, interactions between species can be more beneficial because different species compete with each other less for resources. I am studying an example of sociality between splendid and variegated fairy-wrens in South Australia. These species form social groups that contain members of their own species and members of the other species. In some cases, these groups are maintained over several years! We have shown that these birds recognize their co-resident and the joint territory from non-group members of both species. Mixed-species associations are common and often beneficial, with animals utilizing other species to gain information about habitat quality or to help them deter predators. Most interactions are assumed to be ephemeral and not specific to individuals. Despite this, stable interactions between individuals of other species have been recognized, especially in birds. But we understand very little about the benefits of individual-specific interactions and whether they alter how individuals get information, share information, or interact with their environment. My study on fairy-wrens is the first of its kind, and further investigation into this system will allow us to elucidate the benefits of mixed-species social groups. Through observation and experimental manipulation, I will examine whether splendid and variegated fairy-wrens share information and whether their vocal signals are evolving to facilitate communication. I will color band individuals so that they can be individually recognized. 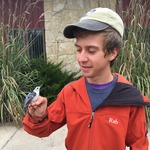 I will then monitor associations between individuals and nesting success on shared and unshared territories. I will perform playback experiments to determine if birds utilize the calls of their co-residents to help them locate food. We will also record songs produced on shared and unshared territories to determine if songs and calls are converging on shared territories, a form of communication evolution which could facilitate the coordination of behaviors within social groups. I study a population of splendid and variegated fairy-wrens located at Brookfield Conservation Park in South Australia. This budget covers travel, housing, and some costs necessary to complete the experiments. The requested funds will cover a round-trip flight to Australia and housing at a small biological station. I am also requesting funds to cover the purchase of color bands which we place on the birds so that we can individually identify them as well as three portable field speakers which will be used to project bird song during experiments. This project represents a novel, integrative approach with the potential to inform our understanding of how species interact with one another and of the consequences of those interactions on both day-to-day and evolutionary timescales. With a strong foundation studying avian social behavior generally—and fairy-wren behavior in particular—Allison is uniquely-suited and well-prepared for the task. After working with Allison for a season on Variegated Fairy Wrens, I am excited to see this opportunity for the project to continue forward. Allison is an excellent biologist with an affinity for working with these birds and their system. 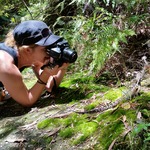 Studying fairy wrens can help to shed light on many questions and areas of study besides just their species. I am pleased to endorse this project and encourage your support. I hope this gets funded. It is great work. I am an evolutionary biologist and ornithologist. I earned my PhD in 2016 from the University of Chicago under the guidance of Dr. Stephen Pruett-Jones. 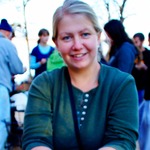 My research seeks to better understand the dynamics and evolution of social behavior. I utilize field observations, experimentation, collections based studies, and comparative methods to ask how sociality benefits individuals and how social behavior can change species evolution. Most recently I have examined conspecific and heterospecific social behavior in the fairy-wrens (Maluridae), cooperatively breeding birds endemic to Australia. I am currently taking a year-long sabbatical, publishing my dissertation and producing illustrations while applying for postdoctoral positions. I began to explore sociality between the splendid and variegated fairy-wrens as part of my dissertation research. My graduate advisor, Dr. Stephen Pruett-Jones, and I stumbled upon this association when trying to capture members of each species for other research. When the focal species was caught in a mist net, the other species would come in as well, responding to either distress calls or to the playbacks we used. It had already been illustrated that in some cases these birds have nearly coincident territories, but this simple response to playbacks made us wonder how extensive their associations were. We have illustrated on coincident territories these birds distinguish between their co-residents and other fairy-wren social groups, aggressively co-defending the territory against members of both species. While we were suspicious this was the case, the degree to which birds would aggressively respond to neighboring and foreign birds, while seeming to cooperate with their co-resident, was startling. Below is a great example of a playback experiment performed to elucidate this. The spectrogram shows how rapidly a splendid fairy-wren responded to a simulated intrusion of a neighboring variegated fairy-wren. When the same group was played their co-resident they did not respond. We hope to continue to examine this association to understand just how important these super-groups are to the behavior of each species. Stimuli (neighboring variegated fairy-wren) are denoted by solid boxes. The response of the splendid fairy-wren (who thinks its territory is being invaded) is denoted by dashed boxes. The song marked with an arrow is a splendid fairy-wren song that is a trill rather than a typical song.